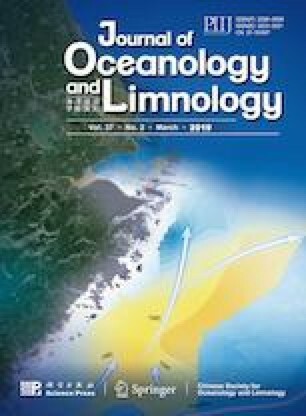 Spatial and seasonal variabilities of submesoscale currents in the northeastern South China Sea are investigated by employing a numerical simulation with a horizontal resolution of 1 km. The results suggest that submesoscale currents are widespread in the surface mixed layer mainly due to the mixed layer instabilities and frontogenesis. In horizontal, submesoscale currents are generally more active in the north than those in the south, since that active eddies, especially cyclonic eddies, mainly occur in the northern area. Specifically, submesoscale currents are highly intensified in the east of Dongsha Island and south of Taiwan Island. In temporal sense, submesoscale currents are more active in winter than those in summer, since the mixed layer is thicker and more unstable in the winter. The parameterization developed by Fox-Kemper et al. is examined in terms of vertical velocity, and the results suggest that it could reproduce the vertical velocity if mixed layer instability dominates there. This study improves our understanding of the submesoscale dynamics in the South China Sea. Supported by the Natural Science Foundation of China (No. 41576009), the National Key Research and Development Program (No. 2016YFC1401403), the State Key Laboratory of Tropical Oceanography, and the Global Change and Air-Sea Interaction Project (Nos. GASIIPOVAI-01-03, GASI-IPOVAI-01-02).